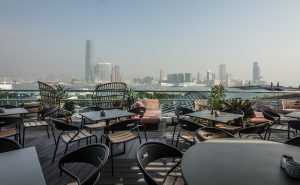 <9th April 2019 – Hong Kong>> – The ultimate dining destination for contemporary Spanish gastronomy, La Rambla by Catalunya unveils an all-new spring menu by Executive Chef Ferran Tadeo. 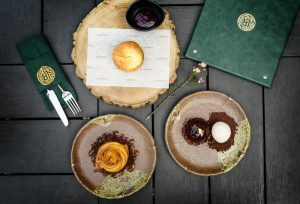 Using rare seasonal pro sduce sourced from Spain, Japan and throughout Asia, the menu highlights authentic Catalonian flavours and classic tapas re-imagined. Guests can also look forward to experiencing dishes from the Josper Grill, a dual function charcoal-fired grill and enclosed oven known for creating a perfect sear and enhancing the flavours of meat and seafood. Beginning with the classics (Los Clasicos), La Rambla adds its own signature twist to the traditional Pulpo Gallego (HK$200). The smoky, Josper-grilled Galician octopus is served with truffled potato cream, burnt celeriac cream, migas, cured egg yolk and paprika. The addition of Papada Joselito, a type of naturally cured Spanish pancetta, injects the dish with tremendous flavour. Catalan Butifarra Sausage with Parmesan Rice (HK$260) is an original recipe by Chef Ferran Tadeo, featuring Josper-grilled Iberico sausage from La Prudencia in Spain with cheesy parmesan rice, topped with creamy Hokkaido uni and celery. Seafood lovers will not want to miss the Butterflied Spanish Red Prawn (HK$220), a 3XL carabinero fresh off the Josper grill and cooked to medium-rare, served ‘butterflied’ to expose its roe. Mop up the juices with some rustic-style toasted bread. 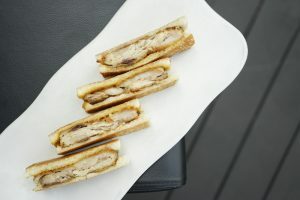 This spring, La Rambla’s latest crowd-pleasing Bikini (HK$120) mini sandwiches feature crunchy suckling pig with spiced mango chutney, a heavenly contrast of flavours between two pieces of toasted bread. From the Meats section, the new Spice-rubbed Pigeon de Racan (HK$380) is created with 12 days dry-aged pigeon from Racan de Verry in France, marinated in Chef Ferran’s secret recipe of spices. For dessert, the exploding molten lava Baked Brie Cheesecake (HK$95) is worth every bite, created with soft cow’s milk cheese and served with fresh wild berry jam. Born in Barcelona, Chef Ferran spent almost a decade under the tutelage of the world’s finest Michelin-starred chefs Ferran and Albert Adrià (el Bulli, Tickets) and Chef Sergi Arola (Arola). Mastering the nuances of Catalan cuisine, he opened El Nacional de Barcelona, currently the go-to destination for Spanish food in Barcelona. Known for delivering brilliant flavours with a creative flair, Chef Ferran was recruited by award-winning chef José Andrés to work at his eponymous Minibar in Washington D.C. 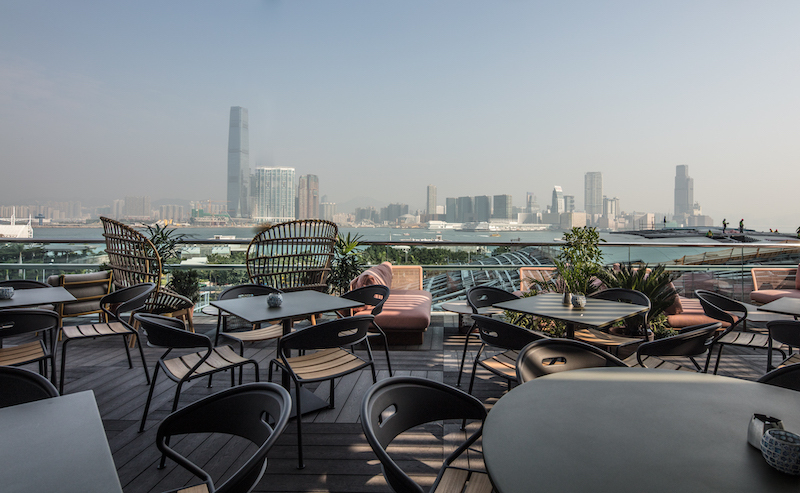 In early 2017 Ferran was appointed Executive Chef of Hong Kong’s award-winning Catalunya. Dedicated to delivering unique flavours, sourcing top quality ingredients and showcasing his creative concepts, Ferran brings a modern twist to traditional dishes. Now, Chef Ferran Tadeo brings his creativity and years of culinary innovation to La Rambla. Spanning over 5,000 sq. 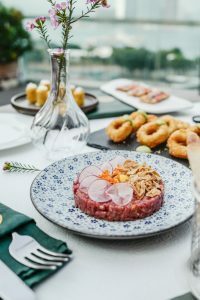 ft. at ifc mall, the newly opened La Rambla by Catalunya delivers on its promise of serving authentic Spanish cuisine in a modern, sleek setting. 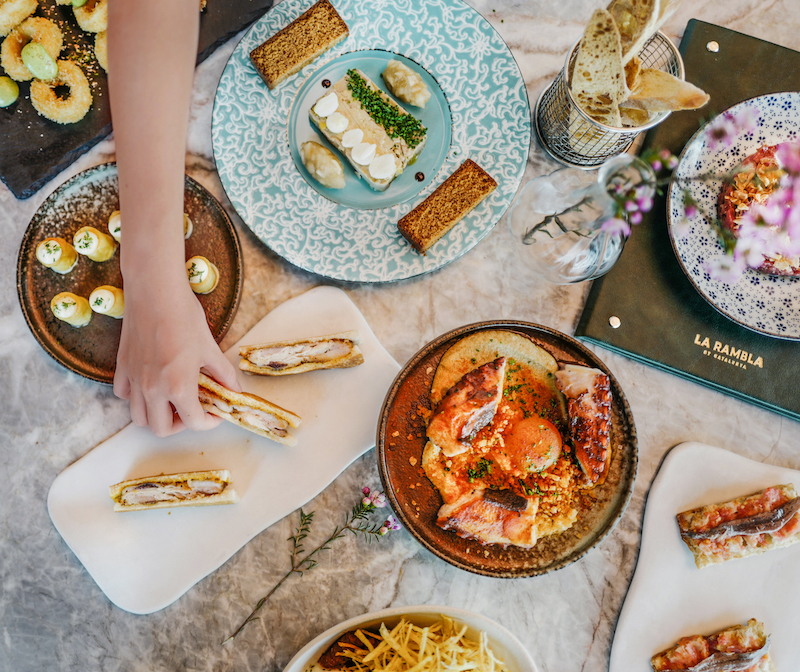 With Hong Kong’s iconic harbour as the picture-perfect backdrop, Chef FerranTadeo takes centre stage with this ingredient-driven, Catalan-inspired menu. Following the Catalunya tradition, La Rambla’s menu includes a selection of traditional tapas and mains, together with modern interpretations of Spanish dishes. The menu is divided into three broad sections–a comprehensive tapas selection, a series of meat & fresh seafood dishes & a range of must-try paellas.